Please feel free to download for your own use, or to share with friends--keeping in mind that the material is copyrighted, so please leave my name attached. 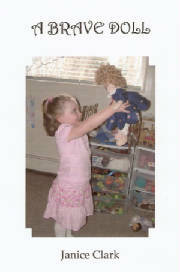 A Brave Doll was a Christmas gift for my grandchildren, and especially for Maggie, who wanted to be in a book. Click on the link below to open.